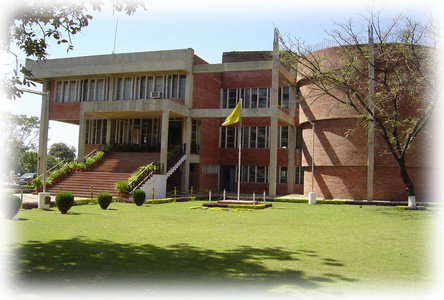 PEC University of Technology Chandigarh, formerly known as Punjab Engineering College is a public technical university, which was founded in the year 1921 as Mugalpura Engineering College in Lahore, currently in Pakistan. Later on, the name was changed to Macglan Engineering College and in 1931 it was brought into affiliation with the University of Punjab. In year 2003, the college was awarded with the status of a deemed university and was named as PEC University of Technology in 2009. PEC University of Technology has created an identity of its own for offering quality education to those students who want to enter into the evergreen field of engineering. The college offers four years full time program of Bachelor of Engineering that consists of eight semesters. PEC University of Technology imparts Bachelor of Engineering in various disciplines such as Automobile engineering, Computer engineering, Electrical engineering and Electronics & communication engineering. There are also Master and Doctor Research positions. (ii) has passed 10+2 or its equivalent examination with at least 60% marks in aggregate (55% marks in case of S.C./S.T./Physically Challenged), conducted by a recognized Board/University/Council in March/April 2012 and not earlier than March/April 2010. A candidate must secure a minimum of 15 percent marks in the All India Engineering/Pharmacy/Architecture Entrance Examination (AIEEE 2012) to qualify for admission. However, candidates belonging to Scheduled Castes/Tribes and Physically Challenged categories shall be eligible if they secure a minimum of 10 percent marks in AIEEE 2012. A candidate, who gets a compartment in the 10+2/Diploma in architecture examination held in March/April, 2012 will not be eligible for admission even if he/she clears the same (by appearing in the supplementary examination) before the counseling dates. Aggregate marks percentage in 10+2 or equivalent examination shall be worked out as suggested by the certificate awarding Board/University/Council. If the Board/University/Council awards letter grades without providing the equivalent percentage of marks on the grade sheet, the candidate, should obtain a certificate from the respective Board/University/Council specifying equivalent percentage conversion formula, and submit the same at the time of counseling. In the absence of such a certificate, the decision of the JAC regarding his/her eligibility shall be final. The institute’s campus has a stimulating and serene atmosphere, conducive to all round development of a participant. It has an expansive campus of 146 acres that is divided into clusters of buildings. The campus is surrounded with the beautiful Shivalik hills. It features well maintained campus that has high-quality science labs, books and computer library, Conference halls and contemporary class rooms. The computers lab has high speed internet connection. The class rooms have wireless LCD projectors that are permanently mounted. There are four hostels for boys and two hostels for girls. As far as placements are concerned, the institute has received stupendous industrial response with regard to the recruitments of their graduates. The institute's graduates hold higher level positions in some of the leading companies in India. 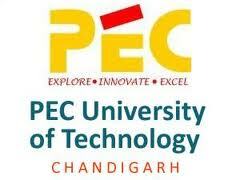 Are you Interested in PEC University of Technology.